Ellen Sommer-Bottorf, accompanist (left) and Carol Jantsch (right), performed "Prelude to the Afternoon of a Faun" Live in Studio A.
Carol Jantsch is known for elevating tuba playing to performance art (she's performed Flight of the Bumblebee in full bee suit and advertised her first tuba CD with a rap video). 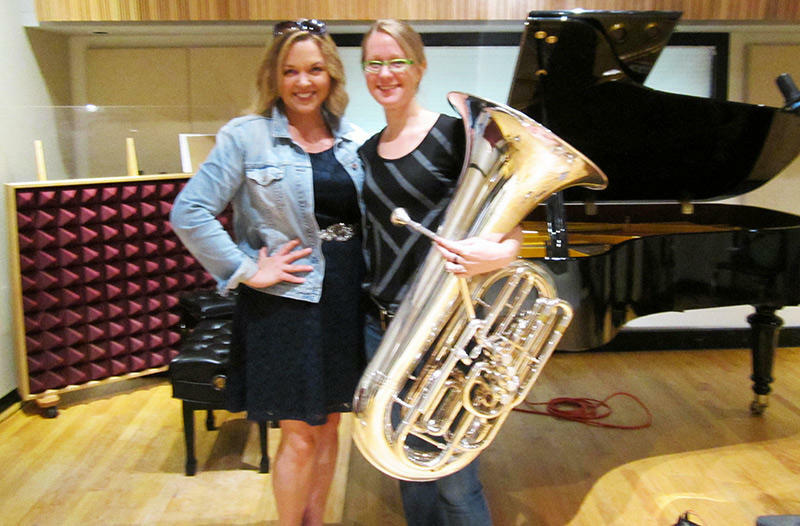 She is also the first woman to hold a Principal Tuba Chair among major orchestras in the United States (in this case, the Philadelphia Orchestra). Jantsch is at Interlochen this week, teaching the Tuba and Trombone Institute. Jantsch says she thinks of herself as a musician first, and a tuba player second, and she's interested in playing pieces not originally intended for the tuba. She visited Studio A with accompanist Ellen Sommer-Bottorf and performed a wonderful rendition of Debussy's, Prelude to the Afternoon of a Faun. If you think the tuba is nothing more than a background instrument that goes oom-pa-pa - you're in for an elegant surprise. Carol Jantsch, Principal Tuba of the Philadelphia Orchestra, performs Debussy's "Prelude to the Afternoon of a Faun," Live from IPR's Studio A. Joining her: accompanist Ellen Sommer-Bottorff. William VerMeulen has had a life full of connections to Interlochen. His mother came here to attend Music Camp and play the cello in the 1940's, and later, was a participant in our Adult Chamber Music Camp. He attended Interlochen as a Camper, and then later, as an Academy Student. He even worked in food service in the cafeteria, and eventually spent three years as an Academy Horn Instructor. "I've done," he says, " everything you could do at Interlochen, and now to be back is a thrill." William VerMeulen, Principal Horn of the Houston Symphony Orchestra, returns to IAA this week to lead the French Horn Institute. He performs Michael Conway Baker's, "Remembrances," for French Horn and Piano, Live in Studio A.
NMC Choir Director Jeffrey Cobb brought the Canticum Novum ensemble by Studio A for a sneak preview of the group's upcoming concert series. The twenty-four singers, with pianist Peggy Johnson, performed a warm, spicy and modern tango, "Noche de Lluvia," by Sid Robinovitch. They then followed up with a jazzified slice of Americana in an arrangement of, "Country Dances," by Ward Swingle. 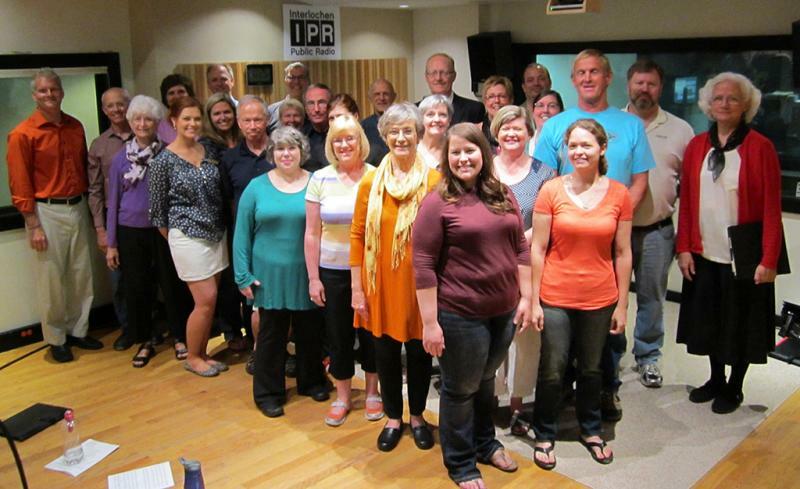 NMC's Canticum Novum vocal ensemble, led by Jeffrey Cobb, with piano by Peggy Johnson, perform live in Studio A. Pieces: "Noche de Lluvia," by Sid Robinovitch, and "Country Dances," in an arrangement by Ward Swingle. 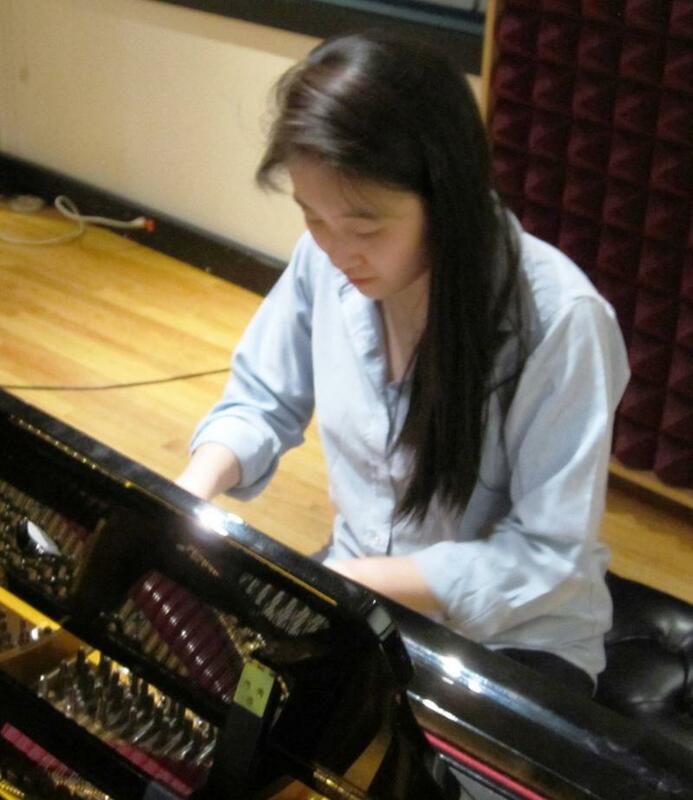 Interlochen Arts Academy senior Grace (Jiyuan) Zhang recently visited IPR's Studio A to perform the third and fourth movements of Frederick Chopin's Piano Sonata in B-flat minor, Opus 35. The third movement (known as the Funeral March) was written as Chopin's native Poland was being invaded. Grace says "it was written for generations - for a country." Grace will continue her studies at the University of Michigan beginning this fall. Jeremy Laureta, Interlochen Senior and Viola major, dropped by Studio A to perform a selection from his recent Senior Recital. Jeremy performed the balcony scene from Prokofiev's, "Romeo and Juliet." Susan Snyder provided piano accompaniment as Viola professor Renee Skerik listened proudly in the wings. 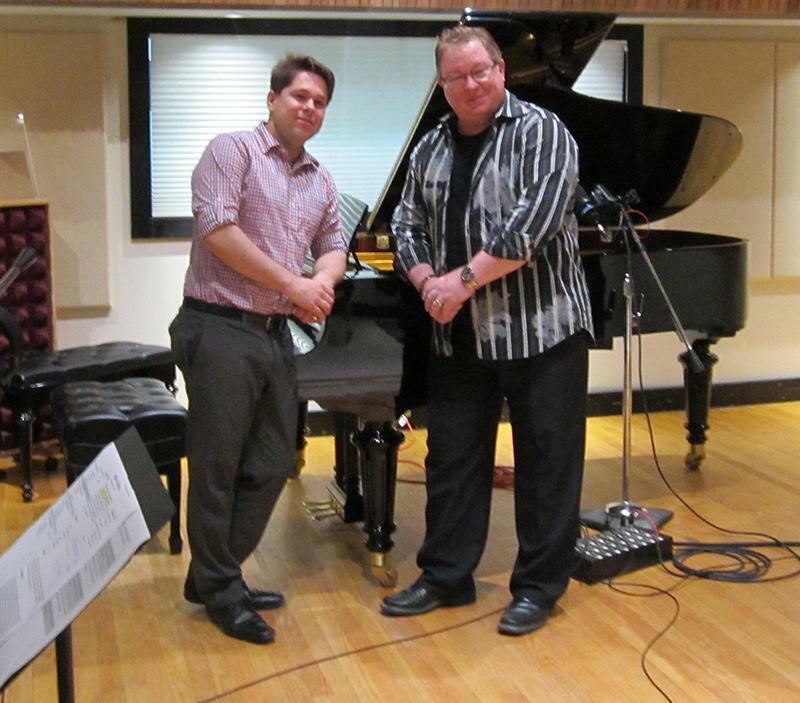 We wish Jeremy all the best as he moves on to his next phase at the Manhattan School of Music! The spirit of collaboration is alive and well with Interlochen's upcoming New Opera Project. 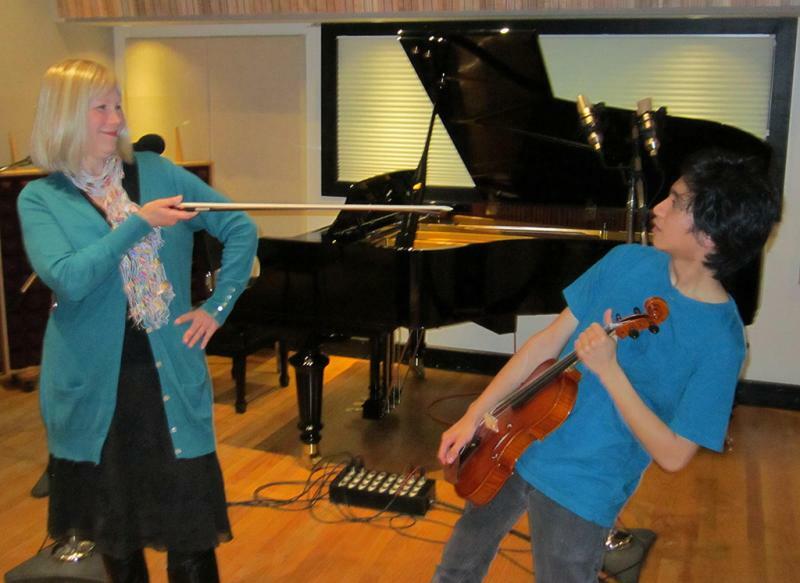 Interlochen composing students worked in tandem with faculty and performers to create scenes for new operas. The Parallel45 Production company came on board to produce, and the operas will make their world premieres at the Inside Out Gallery in Traverse City.